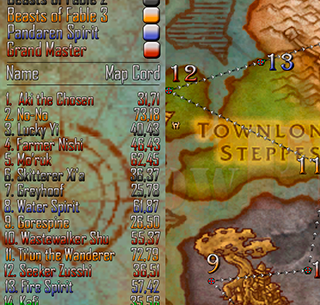 This guide incorporates every Azeroth Grand Master Daily quest into one flight path. Each are color coded and ordered to make it as quick and seemless as possible: 1 Stone Cold Trixxy. 2 Obalis. 3 Lydia Accoste. 4 Bloodknight Antari. 5 Major Payne. 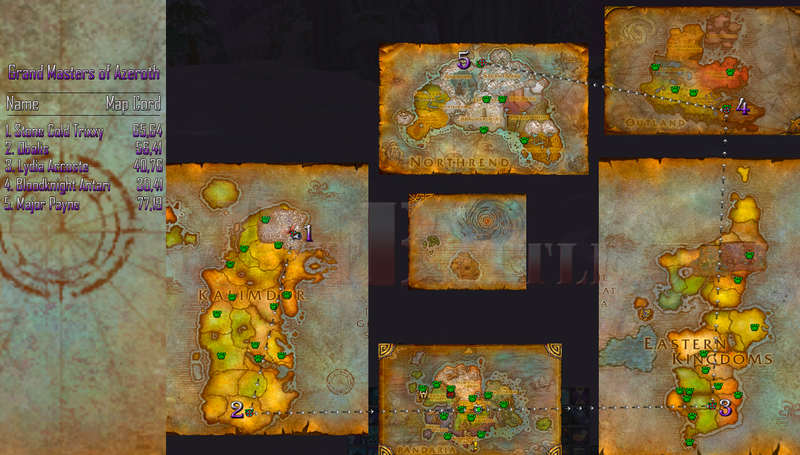 This whole path takes around 30 minutes, I recomend using a mage to get around, and combining them with All 19 Grand Master Pet Bag Daily Rewards. By completing these five daily quests, you will get a reward bag that will give you a chance at random pet family upgrade stones, bandages, pet treats that increase or reduce your pets size, and gold for completing the quests! Now that your pets are level 25, its time to enter the Celestial Tournament.